If you use contacts a few guidelines should be followed when applying cosmetics. Here are some basic tips for how to ensure your eyes stay beautiful and safe. First and foremost, eye care professionals recommend you purchase only brands that are oil free and fragrance free. Further, to prevent peeling or smudging, which could end up irritating your lenses, buy waterproof mascara and eyeliner. Finally it's important to switch makeup used around your eyes at regular intervals – ideally switch mascara monthly, liners every 3 months and eye shadows every 6 months. Always be careful to wash your hands before applying your lenses. Apply all eye makeup gently so you won't jostle your contacts. Make sure you don't apply a brush or liner to the lid inside the lashes and start mascara from the center of the eyelashes rather than the base. Don't use someone else’s makeup or apply if your eyes are red or irritated. In addition to cleaning off eye makeup daily try to be proactive and avoid wearing contacts when dying or treating your hair with any sort of chemical. Taking proper care in using makeup during lens use can avoid red, swollen or infected eyes as well as damage to lenses. If your eyes become swollen or irritated avoid applying makeup. Feel free to call your eye doctor if you have any redness, discomfort, or irritation. 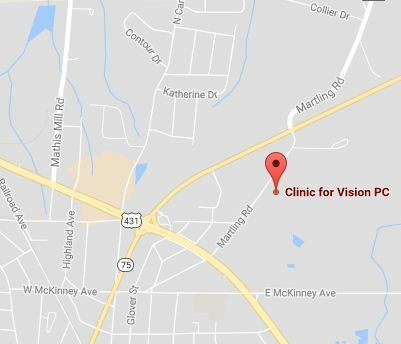 Our Albertville, AL optometrist will be glad to help you with any contact problems that are troubling you.